Compared to the previous one, the tank may be changed to a flexible material and less likely to break. Adjustment of spout is also good. The head part is color-coded (3 types) according to the number of sets in the course. This review is about item#33227214. I used a variety of spray bottles but this is the best performance. I also use it for polishing tires of monotaro. 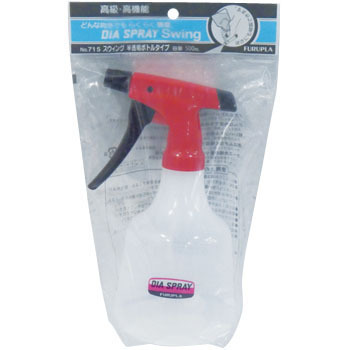 Although there are many goods which do not spray well the liquid with concentration, this can be used. There was much spraying time and work became easier. I am looking forward to durability. I recommend it to the car shop. Fog out is good and very good product. I like it because it gets fine, clean mist. This review is about item#33227205.